I bought this product around two weeks ago but I wanted to leave it a little while before I reviewed it so that I could actually see some results from it. 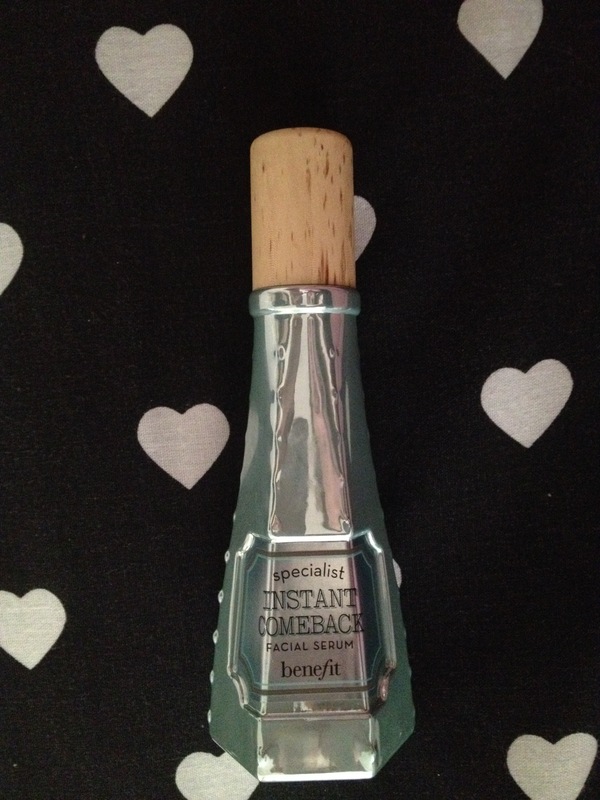 For those of you who’ve read my blog before, you will know that I completely rate the Benefit skincare range and it has saved my skin from so many meltdowns in the past. 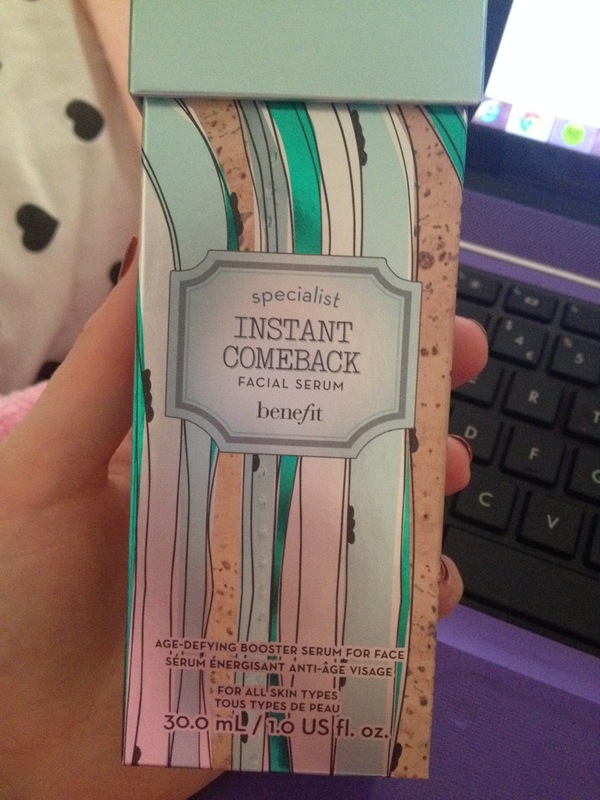 So obviously, I have complete faith in this range and always rely on it to fix any skin problems I may have. This winter, my skin has been really dry and it has been so completely annoying and makes me feel so self conscious especially when I have make-up on. So I needed a more intense treatment for my skin to help it out a little more. Usually, Benefit Total Moisture is enough to get me through but for some reason this time, my skin is much worse. 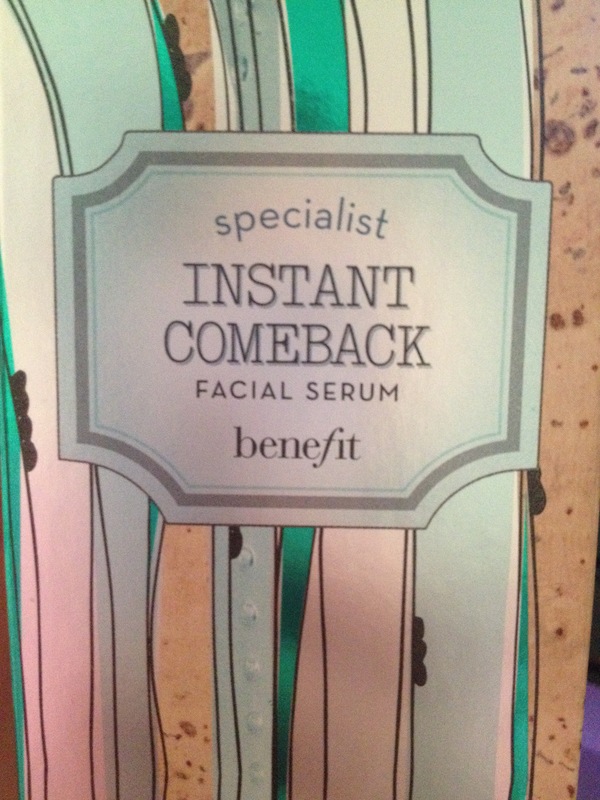 I took a trip to the Benefit counter and they suggested that I try the Benefit Instant Comeback Serum as it treats up to eight layers of your skin (it also has an anti-ageing element to it but I think I’m a bit young to appreciate that at the moment). It’s meant to boost the effectiveness of your skin routine and I thought hey, it can’t hurt to try it, right? Well, I guess at £36.00 it will hurt my bank account a little! First of all, I absolutely love the packaging of this product. The silver bottle makes it look really fancy and expensive – exactly what I want it to look like on my desk! On first glances, it’s quite a small bottle which was a little worrying because I thought it might not last very long. But I found that you only need a small amount for it to cover the whole of your face. It has a gel-like texture but it’s not too thick, which I like a lot. I’ve used this product every night now since I purchased it and I have noticed a significant improvement to my skin. Not only does my skin feel a lot less dry, but it also looks a lot better. No more ugly dry patches for me! I never ever say this about my skin, but it looks firmer and a little bit brighter. I’m hoping that the longer I use this product, the better my skin will get but only time will tell. I will definitely re-purchase this product because of the such good results. If your skin if really dry and needs an intense boost, this is the product for you!